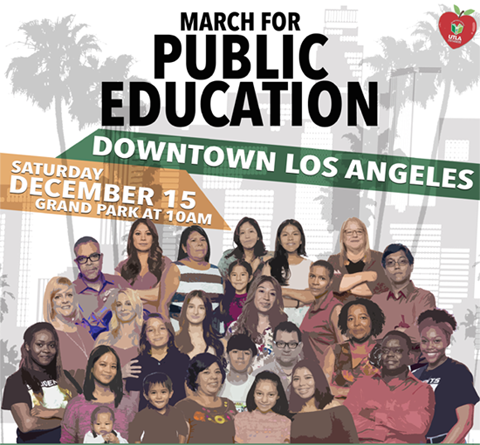 Students, parents, educators: Together we raise our voice to make real changes for public schools! LAUSD superintendent Austin Beutner and the school board majority refuse to spend their $1.86 billion in reserves to support our students. Instead, they want to create conditions of austerity to justify their cuts to neighborhood schools. Join us in demanding that Beutner and the board invest in educating the children of Los Angeles — ALL of them, not some of them! Text message updates will be sent to you to let you know where to meet. How many people (including yourself) will be joining you?